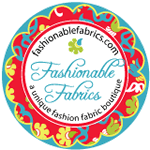 Fat Quarterly: quilt along with us? We've been thinking it would be fun to hang out together and make a quilt. Airfares, real life, money and the like has scuppered our plans to have everyone in one room...but we could do it together virtually, couldn't we? A quilt along! The very first Fat Quarterly quilt along. Would you like to join in? I bet you won't even need to go shopping for supplies. We're going to be making a quilt using the block in the picture above. One block, 80 times over for a quilt that finishes up at 44 x 55 inches. Perfect for a Christmas present for a little one, or baby shower gift, or just for snuggling under on the sofa. 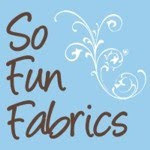 20 different FQs (you won't use all the fabric in the FQs, but 20 gives you a nice variety of colour/pattern) plus a 55cm cut or 3/4 of a yard cut. We'll be posting progress in the Fat Quarterly flickr group and also here on the blog. Why don't you join us and grab the button? Just in case you don't have a jelly roll or 20 fat quarters lying around (or just need a good reason to buy new fabric), the wonderful Anna Luna at Crafty Girls Workshop is offering you, our readers, 10% your entire order at her shop. Use the discount code FQ10 when you place an order. Crafty Girls Workshop happily accepts international orders and if you order now you should receive in time for the September 6th kick off. 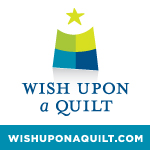 I'm reading: quilt along with us?Tweet this! Already collecting my Fat Quarters! In. And I agree that "scuppered" is a fun new word. I'm going to try to use it in a sentence with someone today! Not that I have time but I'm gonna do my best to make it to the party! It's probably biting off more than I can chew, but I'd love to quilt along with you! Count me in! Sounds wonderful....and if life allows me some play time I AM IN!!!! 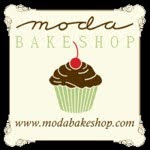 Maybe I can even use my Moda win to play along!!! Super cute!! If I can get some projects finished up, I'm in! OMG!! 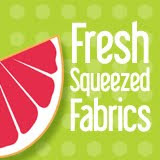 I've been SO SEARCHING for that orange American Jane Recess fabric! And there it is! Please tell me you have some to spare for someone who would be happy with even a little bit of it. Either the dot or the floral or both. Even scraps would be useful. I think I'm going to throw my hat into the mix here and join you. Ooh sounds like heaps of fun!! I found you through the Happy Zombie blog. I'll be following you and I'd like to do this. I won't be faithful because of life. (I will be traveling to Mother's in September & October for a week at a time and there is no sewing machine and whatnot will be available to me). But, this sounds fun! I want to try. and, I'll do my best to keep up! I'm inspired! And I have a Neptune jellyroll just waiting to be loved. I have already planned a different square-in-a-square quilt after I finish my current project, but I would so want to do this one too! Unfortunately for my quilting, I won't have access to my complete stash for the next few weeks. I will be living vicariously through your flickr! Forgive my ignorance but if we want to make the larger size quilt, how many fat quarters would that be? I'm in - this is perfect for my first real quilt top! 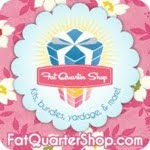 I am in - I have a stack of 21 fat quarters and I need to make a quilt for my brother - this will be perfect. Looks like fun - and like it could be a great scrappy quilt! I'm dragging out the 2 1/2" strip bin!! If you could respond to Heather Acton, who commented above about wanting Recess, and give her my email (kelbybowser (at) gmail (dot) com), my LQS has yardage of Recess, a FQ bundle, and charms. I will be more than happy to give her their number since they will ship. Thanks! Count me in too. I've never done anything like this before but it sounds fun. 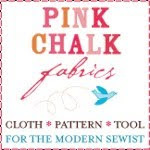 Add me to your list, this sounds like a lot of fun and good way to use some of my extra fabric. Count me in too! Now I just have to choose between Bliss, Origins, and Fandango. (just got those for the shop) Or I have a couple others stashed away that I could use. Hmm, it will be a hard choice but I want to play along! I've never joined an along - I'd like to try this! Is this an "official" sign-up? If so, count me in. OOOO I would Love to join in the quilt along. One it's a great way to make new friends. Two it's a great way to discover new techniques and three I've never made a quilt or been involved in a along, so I hope to do all three things and a special added bonus of having so much fun trying.. I've got a couple of Moda scrap bags waiting to be used up - can't wait to have a go! I'm in. I'm going to try for a picnic blanket size. 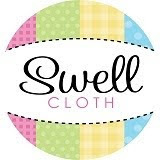 ooh yes please - but I may have to economise and make it a little smaller - this would be my first every quiltalong ... wahoo! My first quilt along too! I have a Moda Freebird jelly roll which I had no plans for - I do now! I'll give it a go. Don't know if I can manage the timescale but you never know until you try. I'm in with my Dream On jelly roll. I'm in! Just hop I can keep up with the time frame! Okay, found a jelly roll in my stash today (while I was looking for something else :-)...let the fun begin! Can't wait! Count me in - Not sure if I'll do FQ or a jelly roll, but that's where the fun begins. Thanks! 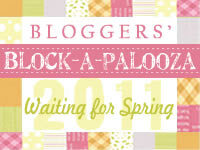 Cout me in with a Spring Fever jelly roll and scrap bag to use. Guess I'm going large! I do NOT have the time, but I like the idea of somthing just for us....I have a ton of the two leftover Douglas Day lines I worked on....this would be a fun/easy quilt for the boys game room...I'm in! I just got a jelly roll and I'm going to give it a try! My first quilt! I found you through One Flew Over blog - I'm in! I have wonderful (/enormous) collection of "just a little" fabrics, and I could use the motivation! Sounds great. I can't wait to quilt along. This will be my first quilt and all the Moda jelly rolls are so inspiring. So excited this is my first Quilt A Long! I am so in! Can't wait to see everybodys quilts. Yay!!! My group (3 Young Chicks & the Hot Hen) are joining in on the quilty fun! And since they don't have blogs, I'll be updating with our progress on my blog http://starbound-studios.blogspot.com/. Can't wait to see what everyone finishes with! Yeah count me in. Haven't done one before but I like the design so here goes! Fun! I'd love to join in. I think I'll go through my stash and see if I can come up with 20 miscellaneous fat quarters. This will be a great way to use up some of the smaller pieces I have leftover from other projects! This sounds like fun and I have had a Mary Englebreit jelly roll that was gifted to me and I had NO idea what to do with . . . sounds perfect for this project! Am I correct in thinking this doesn't start until September? A good chance to do something for me! I am in! 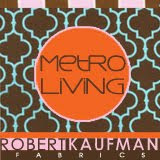 I am in, sorting out fabrics as we speak! 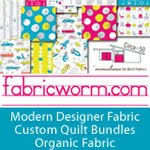 This sounds very very good and it will be fun to join your Quilt-Along! I've never done a quilt-a-long before, but it sounds like a lot of fun to be quilting with a whole bunch of other lovely people! I'm fairly new to quilting (I've made just two so far! ), but having just been to the Festival of Quilts I'm in need of a new project for all the lovely fabrics that came home with me! Working full time might make the time table tight for me, but I'm prepared to give it a go! im in! just purchased a jelly roll and once it arrive i am good to go!!! 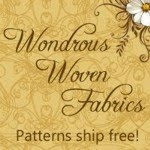 I am in, this is great for my DESTASH challenge, I have the fabric already so I can start tonight! Just found this and am too late ! :-( Please do one again next year.